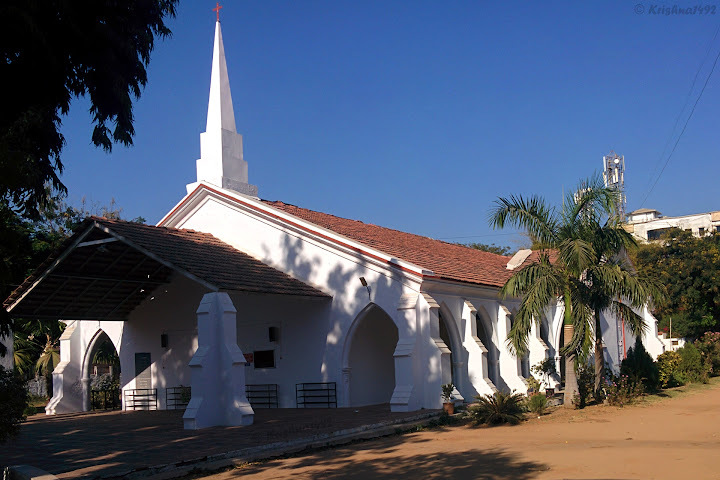 The Centenary Methodist Church is located in residency area (now fatehgunj area) was constructed in 1902. It was the first CNI church in the area. The church building stands still without any single iron rod. When seen from above, the building is in Holy-Cross of Jesus Christ. The building is made in Gothic style. This church was also known as Red Church due its red color from outside. The main entrance of church is in western side. The main prayer hall is 100 ft in height & 50 ft in width. Church also has 14 double windows, 34 windows & 20 doors. 1800 people can sit in hall. The church celebrates festivals like Christmas, easter, Good Friday etc. After completion of 100 years of church, the name of Red Church was renamed as Centenary Methodist Church. There is also a huge bell, situated on top of the church. When bell was rung in olden days, its sound was clearly heard in 10 KM radius areas. According to the record, the first time bell was rung by Robert Ward. Bell’s wooden frame was made by Damaji Mistry. *During 1965’s, the church had 7 steps, which is now gone down to 2 steps only.